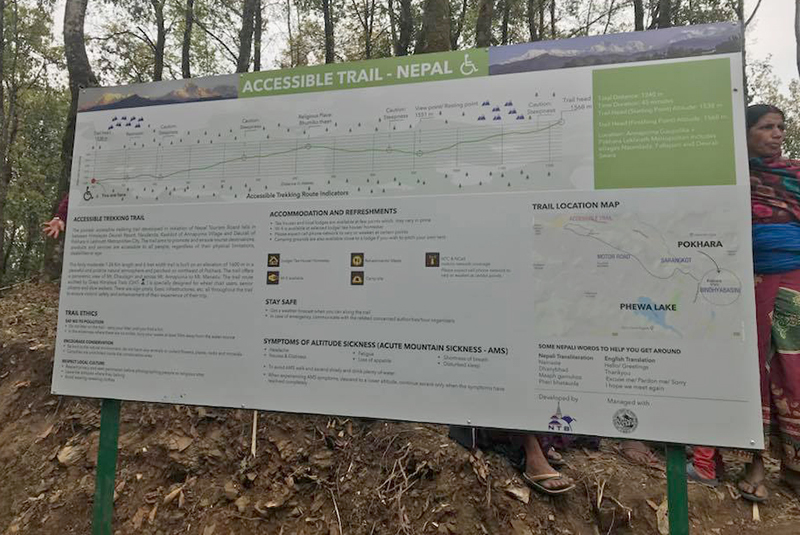 KATHMANDU, Mar 31: Nepal’s first accessible trail was inaugurated by the Minister for Culture, Tourism and Civil Aviation Honorable Rabindra Adhikari amid a program in Pokhara Saturday. The deurali- Nauudanda trail spanning 1.3 km in length, forming an attractive section of a 14 km long hiking path in the ridge connecting Sarangkot to Nauudanda offers a magnificent view of Annapurna, Fisthtail and Manaslu range. It is built by Nepal Tourism Board under the management understanding with the local trail development committee. NTB has built the trail to enhance the prospect of attracting a strong segment of accessible tourists’ population. Speaking on the occasion, the Chief Executive Officer of NTB, Deepak Raj Joshi remarked that NTB has taken the initiative to build the trail to add innovation in product and to diversify the tourism trails to generate greater interest among the visitors and to ensure that no one is left behind in experiencing magnificence of Nepal’s beauty. “We have chosen the trail after a systematic auditing from the GHT certified trail auditors under the supervision of NTB. We firmly believe this is in tune with the state’s policy to develop new products and to attract untapped but high end segment of differently abled both domestic and international visitors”. NTB has funded the project with the sum of 1.9 million rupees. Tourism Minister Adhikari expressed his vision to take the Nepalese tourism to next level in next couple of years. “We now have the fundamental pre requisite of a stable government. Under my leadership as the tourism minister, I am fully committed to execute the plans and I am also looking forward to promote and develop new products with the proper support from Nepal Tourism Board. This trail shall be a benchmark of our commitment to tourism and ministry would look into this to establish it as a model trail in Nepal”. The trail is well endowed with proper signage and has accessible washroom. The concerned authorities have pledged more support in the coming fiscal year to lay down all the standards and facilities to establish the trail as probably the best and leading trail in Asia. The global tourism off late has witnessed a major boom in accessible tourism. Tourism is widely seen as a multifaceted sector also to improve the living standards of various strata of society. UNWTO also promotes and advocates tourism as a cross cutting sector to ensure universal achievement of sustainable development goals, SDG. 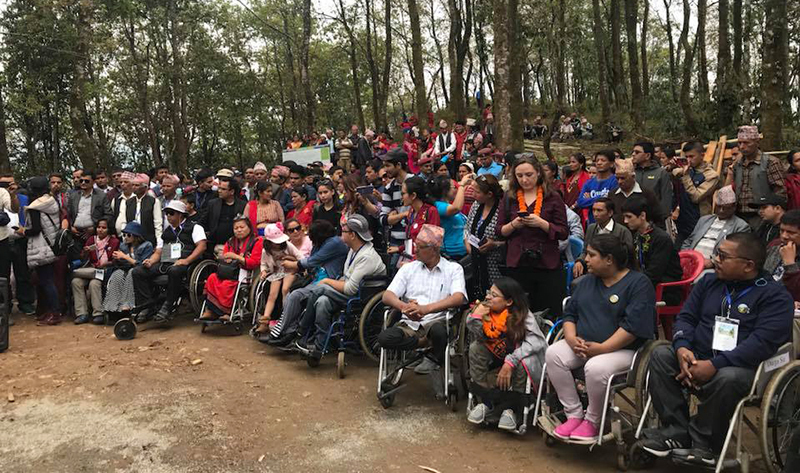 At the same time the International Conference on Accessible Adventure was also organized on March 30, 2018 in Pokhara, Nepal by Nepal Tourism Board and International Development Institute – USA. The organizers of the event have declared to mark the 30Th of March to celebrate as “Access to All” day.